The much anticipated PSP2 has once again been confirmed for this year. Not by Sony themselves or anyone we actually know though, but by an anonymous developer who is apparently working on the PSP2 as we speak. According to Mr Anonymous the new PSP looks very much like an iPhone with a large touch screen, however when that slides back we see our familiar PSP controls and that all important second analogue stick. Now while I have no reason not to believe pocketgamer.co.uk who broke the story you have to be a little suspicious of a description that perfectly matches that faked image above. Then again maybe that image is infact accurate? 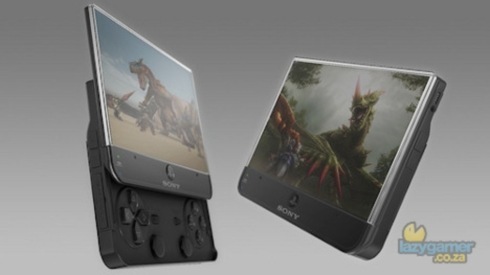 If so then I will be lining up at midnight to get my grubby paws on one as that is one awesome looking device. However before anyone gets overly excited just remember this is a rumour and we are still waiting on the officially confirmed PSP version of Gran Turismo, maybe that will become a launch title for the PSP2 now? Previous article Wii Costs Nintendo Less, Costs You More.